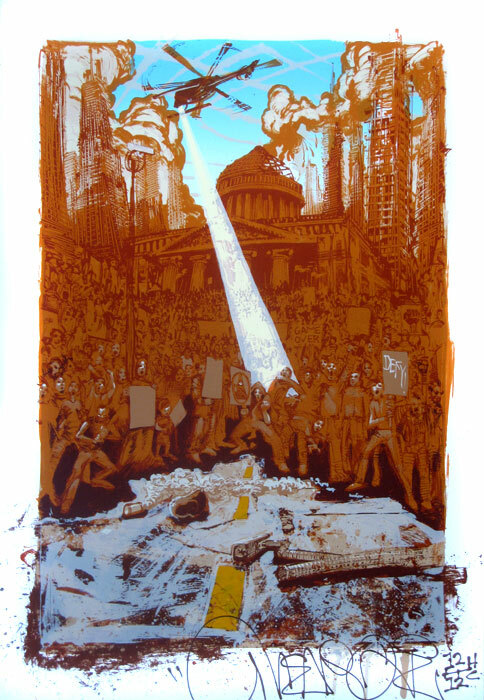 Two stunning prints are now finished here, both hand separated by Mear One. Both are seen below and further down are production photos from throughout, take a look and see for yourself. Keep an eye on baurmanngallery for releases.